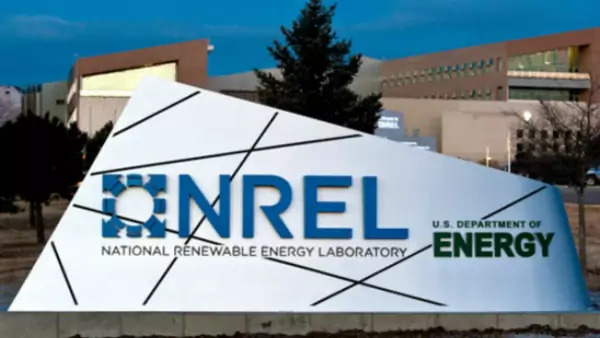 Unfortunately, limited resources constrain NREL’s ability to leverage its integrated research capabilities to commercialize promising technologies. For example, take NREL’s work on an upstart technology I’ve written about elsewhere—solar perovskites. In contrast to academic researchers’ obsession with making fingernail-sized devices that are highly efficient under perfect lab conditions, the researcher leading NREL’s perovskite work wants to scale up manufacturing of larger areas of solar perovskite coatings and achieve long-term stability in the real world. Those goals are ambitious and sorely needed, but with only three and a half researchers supporting them, they will be tough to achieve. Some major research universities (e.g., MIT) also house integrated research programs that help researchers fill the gaps between basic research and commercial success. But many more such centers are needed to institutionalize energy technology development. Prototype printer heads for inkjet printing perovskite solar coatings in a scalable manufacturing process. The process is contained inside a “glovebox,” into which researchers can reach, through the rubber arms, to interact with the process under a controlled atmosphere (Varun Sivaram). 2. Rapid solar PV market evolution means moving targets for researchers. Earlier this year, First Solar (the lone American panel maker in a Chinese-dominated industry) stunningly projected $1 per Watt fully installed cost for utility-scale solar installations by 2017 (this includes a major step-down in tax credit subsidies to solar power). If they achieve this cost, some of the research projects I saw at NREL may have to adjust their targets even lower. For example, an ingenious reactor to mass-produce NREL’s record efficiency solar cells has a long-term panel cost target of $0.70 per Watt. Because the panels are highly efficient, the remainder of the costs to complete the installation should be roughly 33 percent lower than with existing panels; still, even if this reactor were scaled up to produce solar panels in 2017, the fully installed panels would cost $1.10/W, already higher than the industry roadmap. As the leader in solar innovation, researchers around the world will look to NREL to clearly articulate the value of new solar technologies and why a combination of low cost, superior performance, and new applications is preferable to today’s race-to-the-bottom solar commodity market. The reactor (left panel) in which researchers created the world-record efficiency solar cell (46 percent efficient under concentrated sunlight) (Varun Sivaram). For four decades, NREL has compiled the record efficiencies of solar cells and published them in a chart (right panel) that is consulted around the world (U.S. Department of Energy). 3. Reliability in the real world makes and breaks solar PV technology. At NREL’s Outdoor Test Facility (OTF), rows and rows of solar panels endure the rain, snow, and even hail that Golden, CO hurls at them. Out in the field, all sorts of unexpected things can go wrong, and NREL partners with companies who want to learn about the failure modes that could plague their technology. My tour guide pointed out the rooftop shingles coated with a flexible solar panel—although the panels still appear to work, the ensuing leaks from poking wires through the roof had doomed the product and the company. Later, I saw panels which had worked fine for the first year but whose sealing material had gradually given way to attacks by moisture, which now eroded the power-producing material itself. The take-home lesson was that exciting technologies in the lab still have a long way to go to demonstrate the twenty-year reliability that the market demands. As we snaked around the rows of the OTF, two words came to mind: “testbed” and “graveyard.” One First Solar test setup had been in operation for over two decades and still produced 80 percent of its original output—the data from this test had emboldened First Solar’s investors and helped the company achieve its current success. But I also passed dozens of failed relics, sober lessons from the heady days when capital poured into new solar startups that have since expired. 4. Standards, not new technology, are crucial for integrating clean energy into electricity grids. At NREL’s Energy Systems Integration Facility (ESIF), researchers shared their views about the challenges and opportunities from modernizing the U.S. electricity grid to integrate new energy technologies. Specifically, ESIF is interested in integrating distributed energy resources (DERs), which include solar panels but also other decentralized ways to make or save energy (e.g., fuel cells, batteries, efficient appliances). In theory, DERs can improve the efficiency of the electricity grid, reduce electricity consumption, and save ratepayers money while also maintaining grid reliability. But in practice, this is complicated by the proliferation of DERs made by different vendors to different specifications and operated without much regard for their effects on the grid, positive or negative. The solution could come from emulating the successful IT industry. There, a robust set of standards have enabled different pieces of hardware to operate seamlessly with software applications, a design feature known as “interoperability.” In much the same way as a computer language employs a concept called “abstraction” to send generalized instructions to diverse hardware, the electricity distribution grid is in need of a standard language, or “common semantics” to coordinate the diverse DERs that will connect to the grid in the coming years. ESIF hopes to create a set of standards that enables such a language and ensures DER interoperability; more federal support would be helpful to accelerate this work. Indeed, the gains from system-level innovation, according to several ESIF researchers, dwarf the expected gains from new energy technology—“we have all the technology we need” was a refrain I heard often. 5. A decentralized grid poses serious cybersecurity threats that require immediate attention. As grids integrate more DERs, shifting from a centralized to a decentralized model, there are two opposing effects on grid resilience. The physical resilience of the grid to failure improves, because the strategic value of central power stations and bulk transmission lines decreases as more power is generated and saved closer to the customer. However, the cybersecurity risk actually increases with decentralization, because access points for malicious hackers proliferate—imagine a hacker accessing a mobile phone to breach a home energy system to attack a utility distribution substation, etc. The root cause of the opportunity to efficiently coordinate DERs—their increasing connectivity via the Internet—is also the source of increased cybersecurity risks. Fortunately, these are not new problems, and their solutions are well catalogued. Enterprise IT best practices have long incorporated “role-based access” protocols, in which a proliferation of users on a network does not compromise the network’s integrity, because of walls that isolate decentralized users from the rest of the system. I learned from researchers at ESIF that electricity utilities are far behind other enterprises in their IT practices, and that an immediate culture shift is imperative if grid decentralization is to reduce, rather than enlarge, resilience risk. The contrast between ESIF and the solar research facility was striking to me. ESIF, by decades the younger of the two, was manned by researchers intent on modernizing the century-old utility business model. On the other hand, the solar researchers I met brought decades of experience in solar PV and had a long-term research orientation, at odds with the quarterly target obsessions of a solar industry that is rapidly reducing its costs. But to label the two facets of NREL as its future and past would be a mistake. New solar technologies will be essential to displace fossil fuels, and NREL plays a crucial role in advancing solar PV research and methodically preparing new technologies for the field. Coupled with the next-generation grid that ESIF envisions, tomorrow’s energy systems may look fundamentally different from today’s. I am grateful to the staff of the National Renewable Energy Laboratory for their openness and hospitality, including: Bryan Hannegan, Greg Wilson, Jen Liebold, Tami Reynolds, Jim Cale, Martha Symko-Davies, Erfan Ibrahim, John Geisz, John Simon, Matt Beard, Joe Berry, John Wohlgemuth, Jao van de Lagemaat, and Paul Basore.